Women shoes, whether formal or casual play an important part in a woman’s dressing; they complete the outfit. At Jumia Egypt we have different types of shoes for women including boots for women, flat shoes for women, loafers for women among many others. The shoes also come in different colors to match different outfits and the colors vary from neutral colors such as white and black shoes for women, other solid colors including brown, grey, beige and if you are looking for gold shoes trust us, because you will find them in our rich women shoes collection. Shop running shoes & sports shoes at best prices ever from Jumia Egypt. At Jumia Egypt we make sure that we meet a woman needs when it comes to shoes, thus we have a wide category of women shoes starting with boots for women these includes half boots, ankle boots, Knee high boots and heeled boots. We also have flat shoes for women that come as either casual or official. They include ballerinas, slip ons , moccasin, loafers for women among others. Our rich category also includeswomen sandals that are either flat sandals or heeled sandals. If you just joined the gym, we have variety ofsneakers for women and sport shoes for women . Lastly, we have women high heels, slippers and flip flops. Shop the most amazing classic shoes online. Moreover, you have the chance to buy Ravin Shoes, Shoebox Shoes, Robert Wood Shoes, and Wiikii Shoes with affordable shoes. Sneakers for Women, High Heels Shoes and More! With Jumia Egypt online shoes store you don't have to move from one shop to the other looking for shoes for women. Check out our site for shoes from well-known shoe brands including Fashion, Charlotte Russe, Tauntte among others. 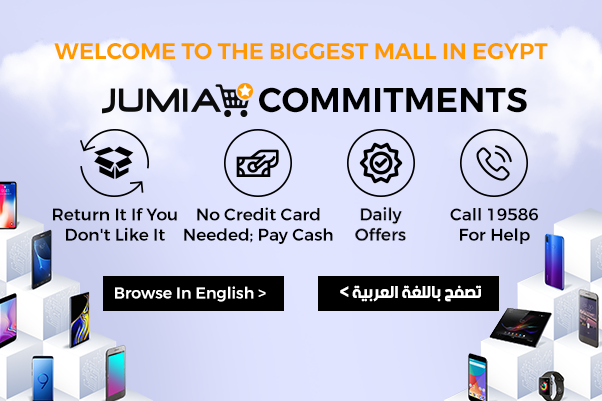 Order and pay securely online for the shoe you want from Jumia Egypt. We also have a return policy in case you order for the wrong shoe number. Buy women shoes from Jumia Egypt and have them delivered at your convenient address. Get the most beloved tennis shoes and casual shoes from Jumia Egypt the best online market place in Egypt. Now, you can shop from amazing brands like Dejavu Shoes , Forever 21 Shoes , Joy & Roy Shoes , Merrell Shoes , and the fantastic Mr Joe Shoes .